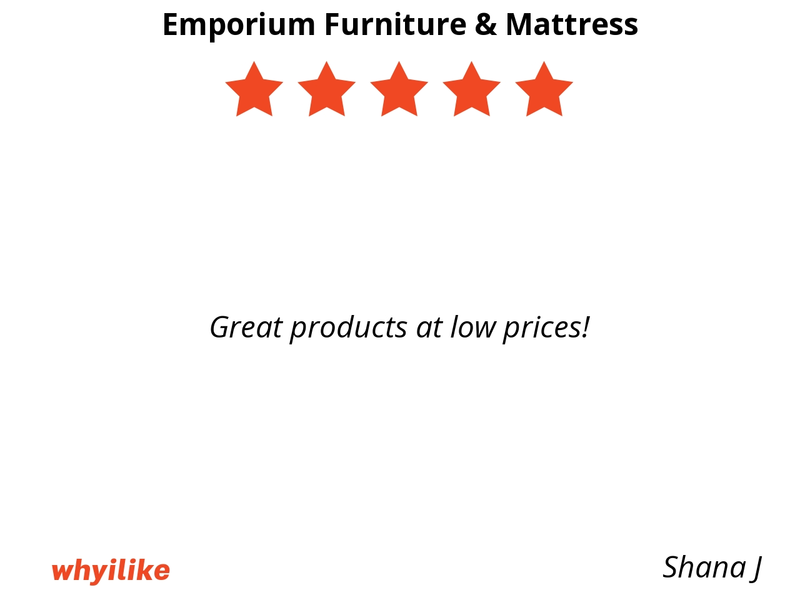 Great products at low prices! 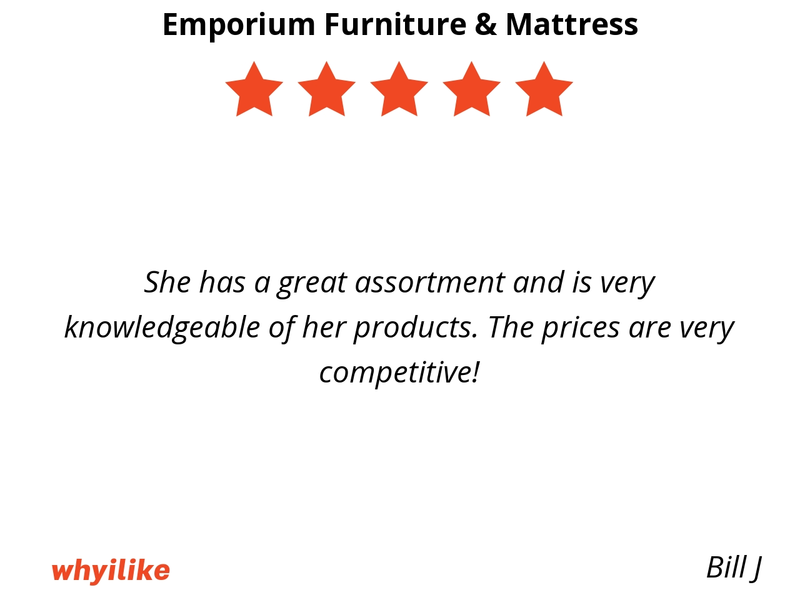 She has a great assortment and is very knowledgeable of her products. 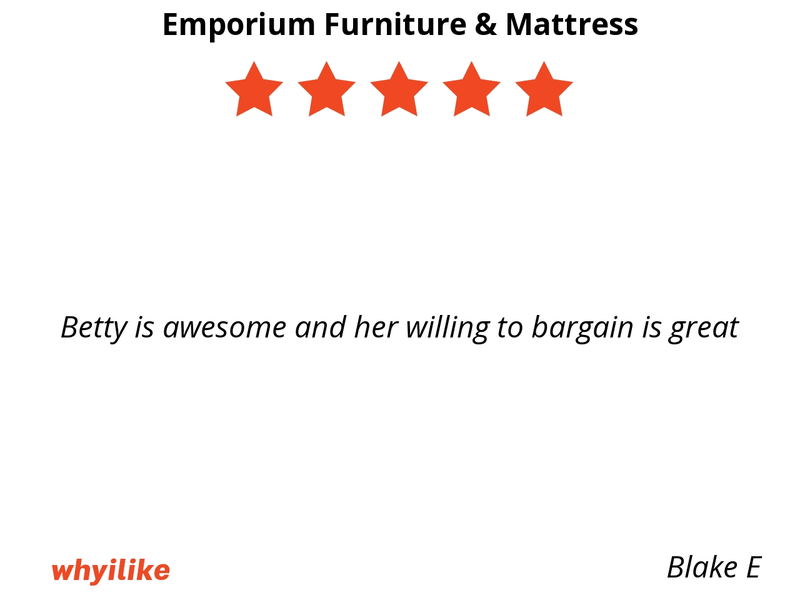 The prices are very competitive! 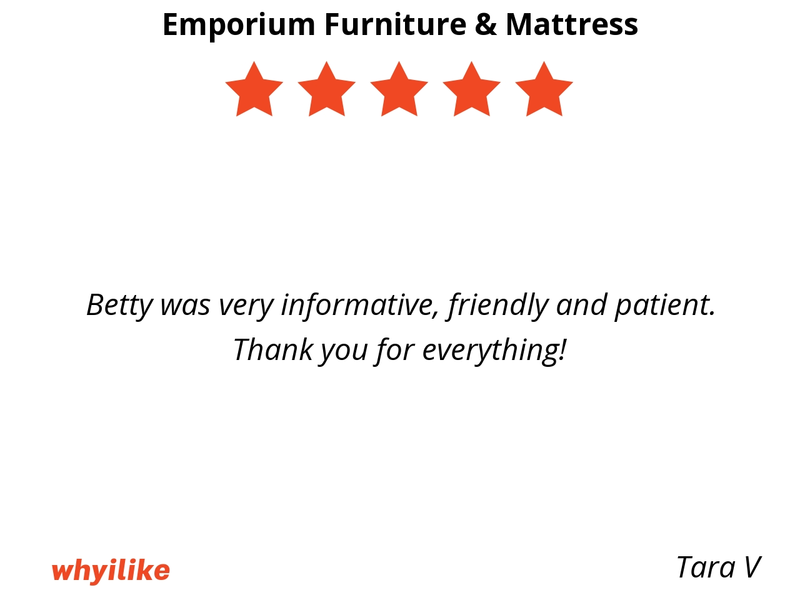 Betty was very informative, friendly and patient. Thank you for everything! Friendly, nice atmosphere! Very knowledgeable. 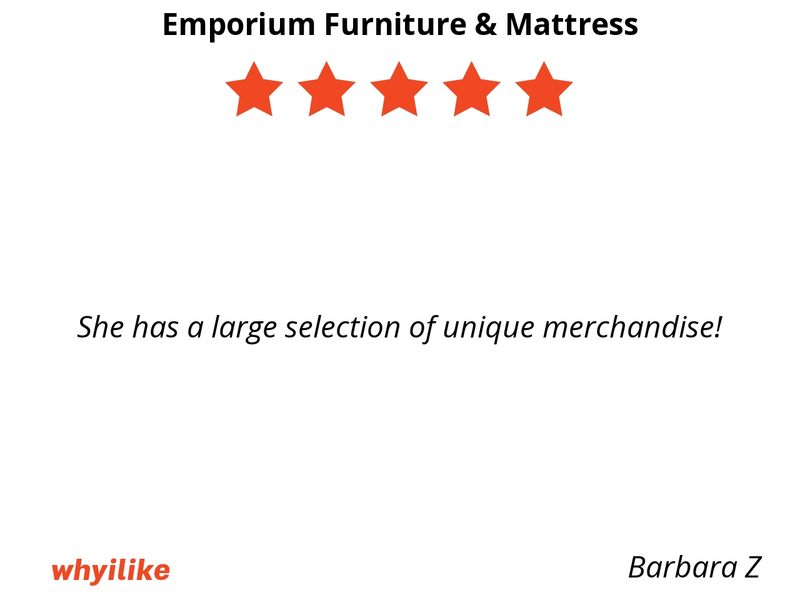 She has a large selection of unique merchandise! 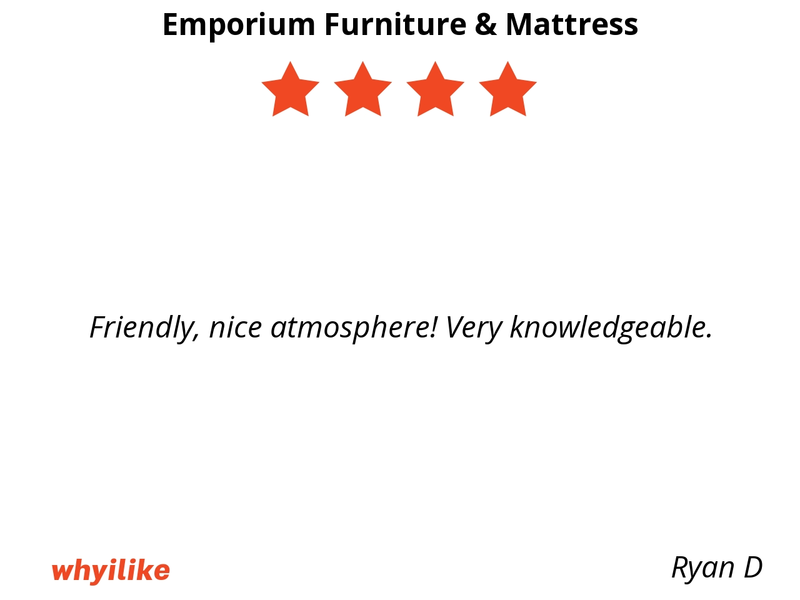 Excellent salesmanship! Betty exceeded my expectations! 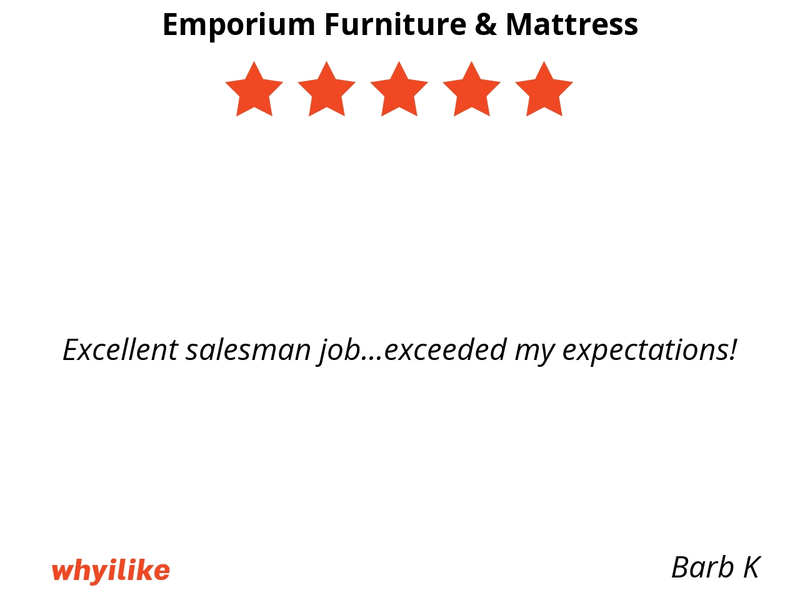 Excellent salesman job...exceeded my expectations! Stopped in at Betty's to look for Tiffany lamps and fell in love with one so I bought it! 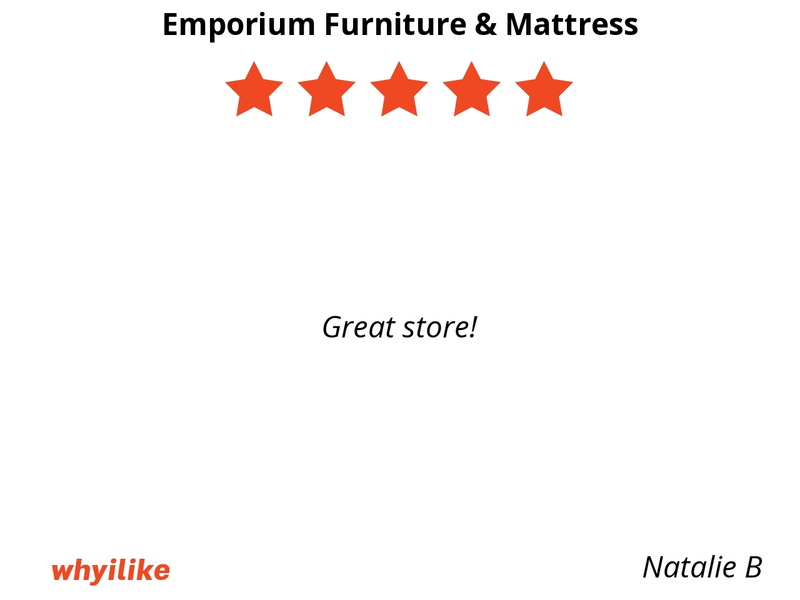 Wonderful store! 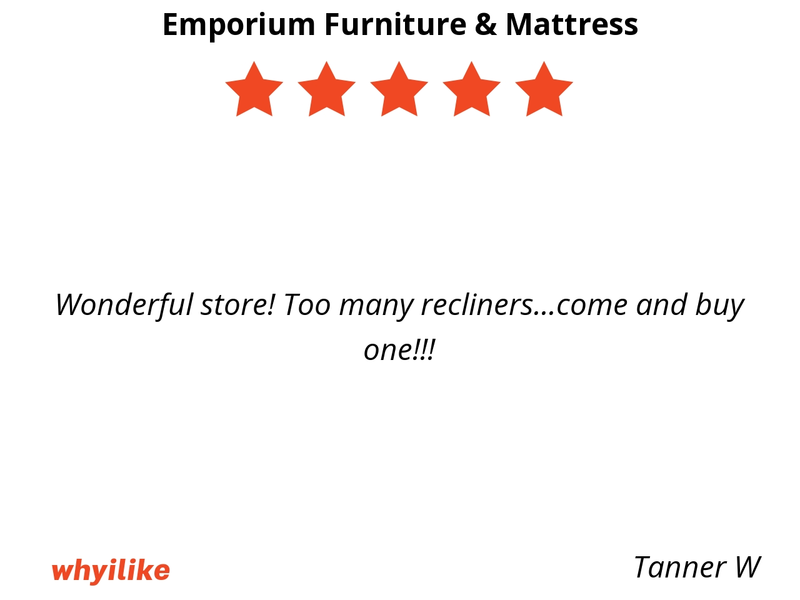 Too many recliners...come and buy one!!! 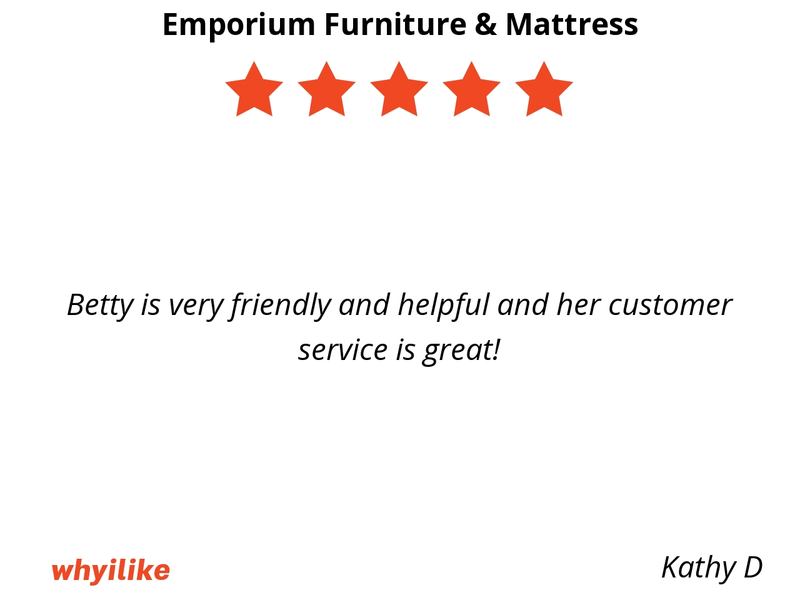 Betty is very friendly and helpful and her customer service is great! 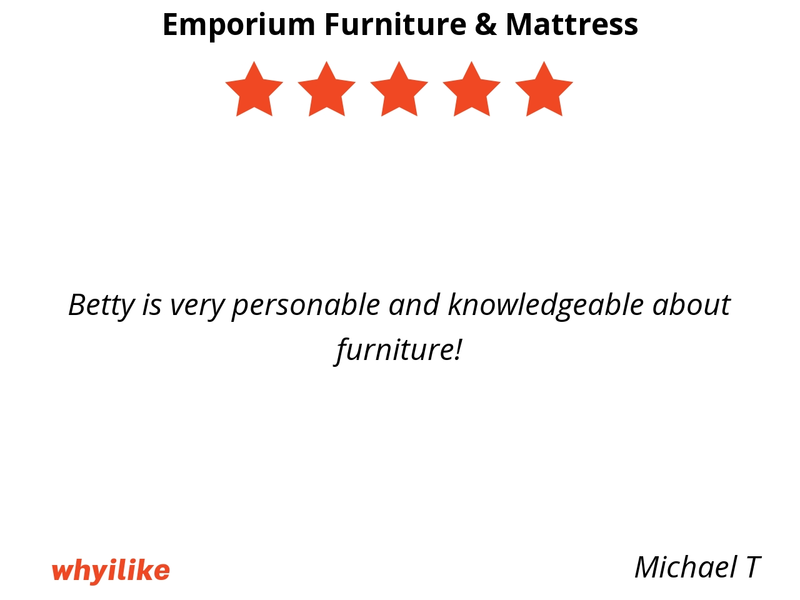 She has such beautiful furniture! 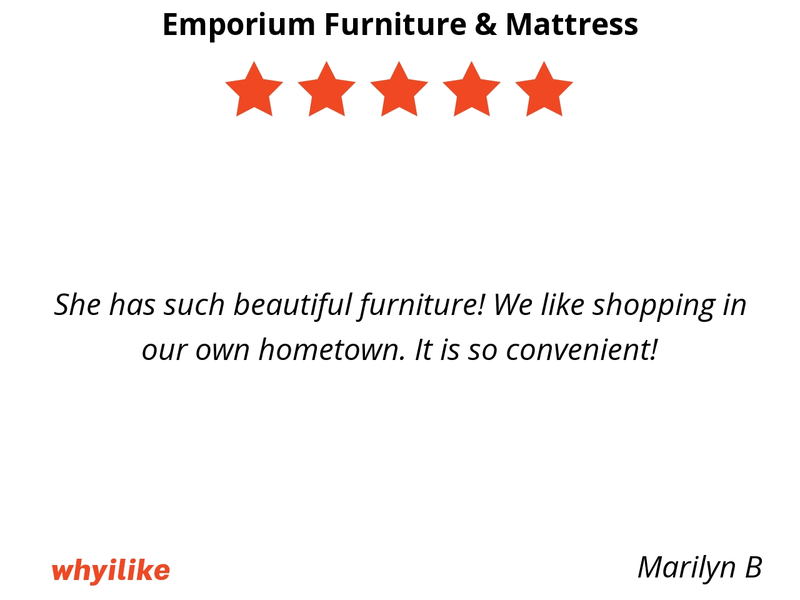 We like shopping in our own hometown. It is so convenient! 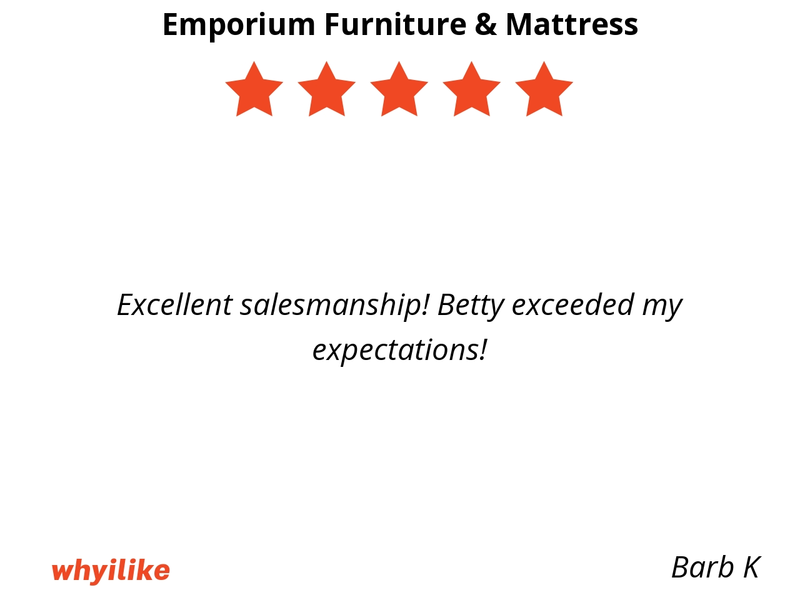 Betty is very personable and knowledgeable about furniture! 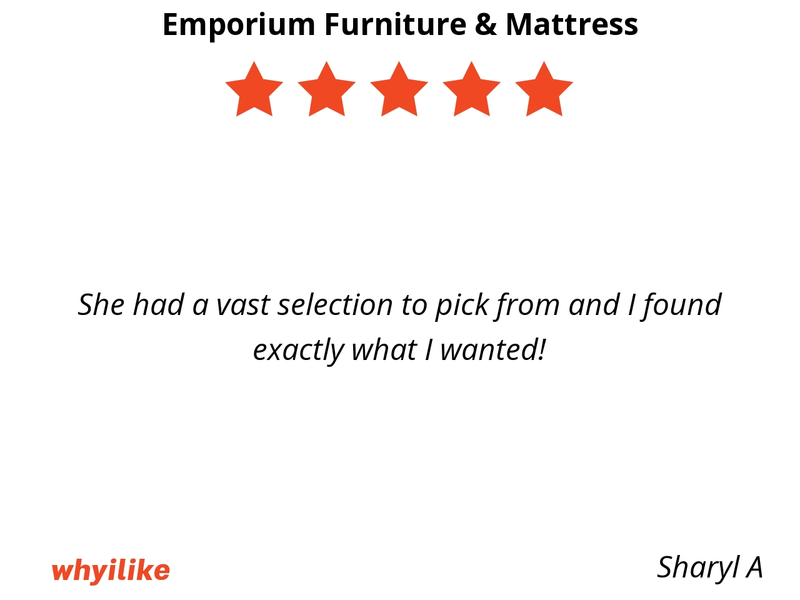 She had a vast selection to pick from and I found exactly what I wanted! 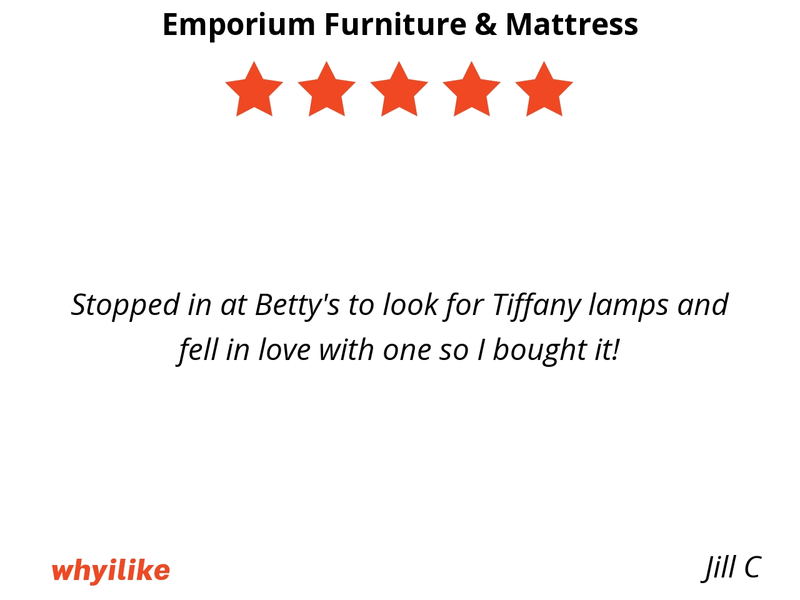 I have bought quite a few stained glass lamps from Betty over the past few years and nobody has the selection that she offers. 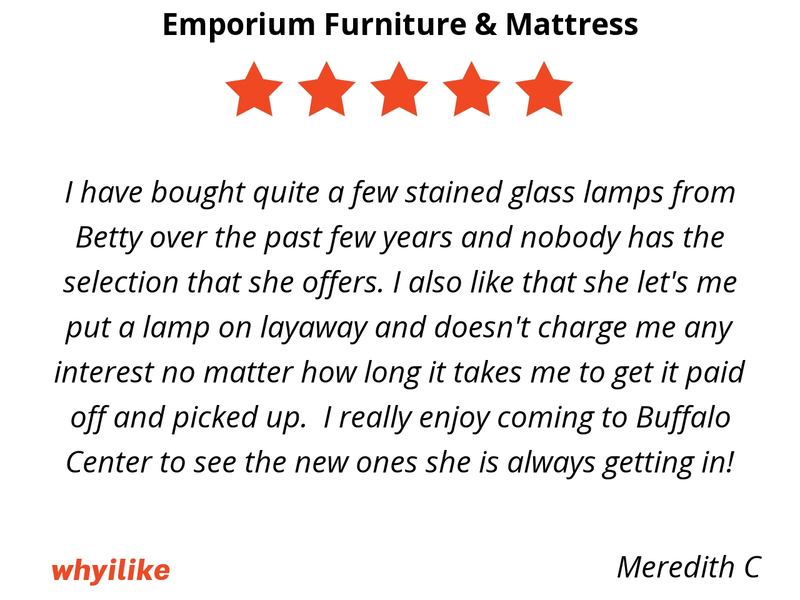 I also like that she let's me put a lamp on layaway and doesn't charge me any interest no matter how long it takes me to get it paid off and picked up. I really enjoy coming to Buffalo Center to see the new ones she is always getting in! 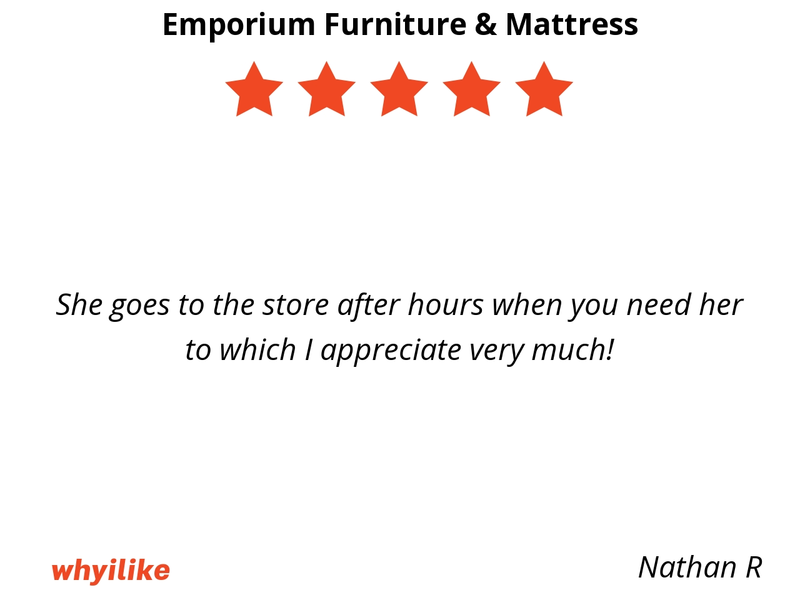 She goes to the store after hours when you need her to which I appreciate very much! 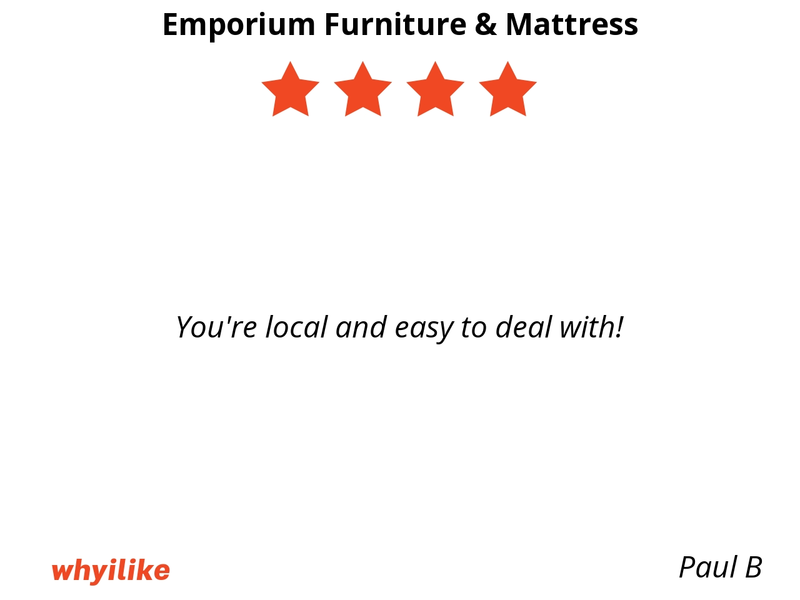 You're local and easy to deal with! 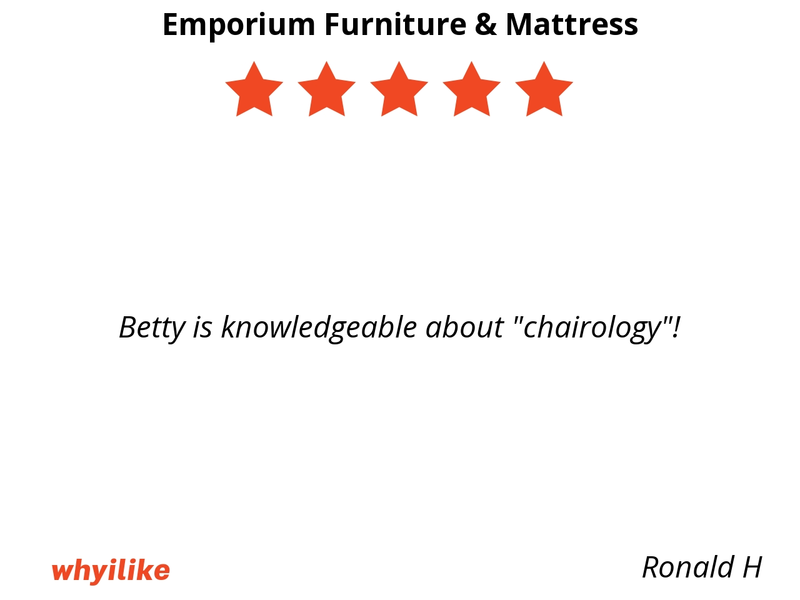 Betty is knowledgeable about "chairology"! 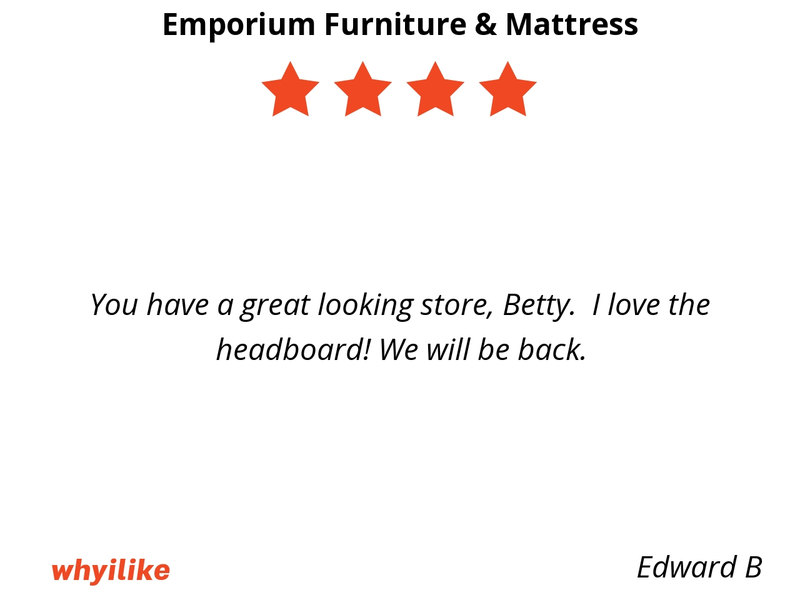 You have a great looking store, Betty. I love the headboard! We will be back.